Fractures and bone cancer. 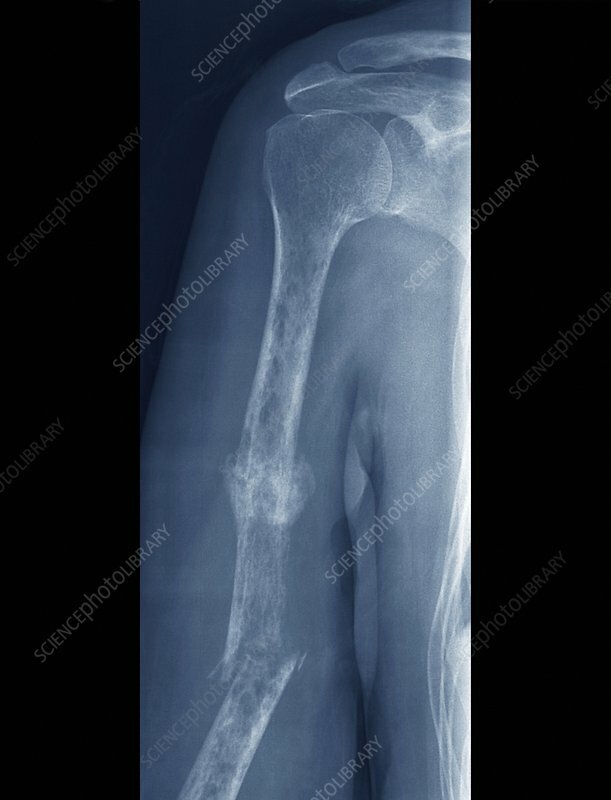 Frontal X-ray of the right arm of a 63-year-old patient, showing myeloma (blood cell cancer, white mass, centre) in the mid-section of the humerus (upper arm bone). Two fractures are also seen; at the site of the cancer, and further down the arm below the cancer. Myeloma is a cancer of plasma cells, a type of white blood cell. Collections of abnormal plasma cells accumulate in the bone marrow, where they from a tumour that interferes with the production of normal blood cells.